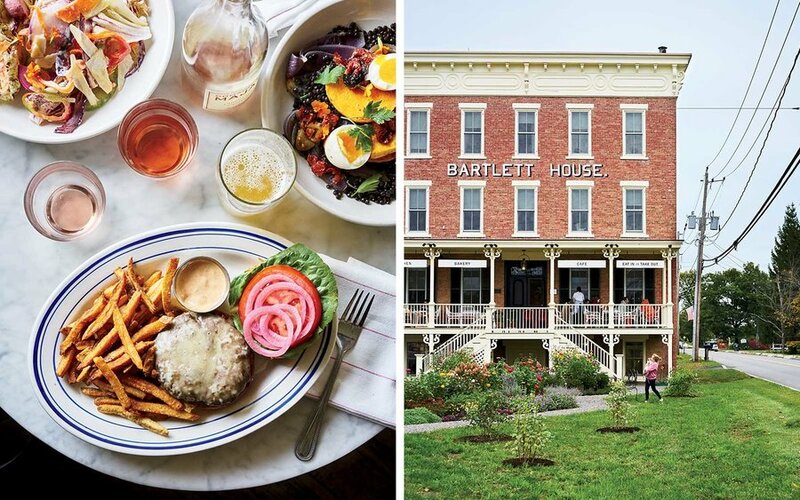 Just a couple of hours upstate in the Hudson Valley, stylish expats in search of a romantic alternative to urban life are invigorating rural towns from Ghent to Germantown — and, along the way, providing compelling new reasons to visit. You can’t stroll down Warren Street, the main shopping corridor of Hudson, New York, without running into an indie actress. There’s former Girls lead Jemima Kirke stacking Victorian bangles up her filigreed forearm at Bavier Brook, a vintage jewelry store. The woman with the halo of brown hair talking to the barista at Wm. Farmer & Sons restaurant is none other than Transparent star Gaby Hoffmann. And if you happen to sit at a table outside one of the town’s artisanal bakeries or fair-trade coffee shops on a weekend morning, you’re likely to spot that darling of alternative cinema, Parker Posey, out window-shopping with Gracie, her Bichon Maltese poodle. Such sightings reflect the fact that a cross section of East Coast creatives has made a broadening cluster of towns in upstate New York, from Kingston to Kinderhook, their refuge. Call it the Un-Hamptons, if you will, or the Hudson Valley’s answer to Brooklyn. And it’s not just actresses: There are also corporate execs who’ve cashed in and left the city to sell highly curated homewares or raise heritage livestock. There are city chefs who’ve opened country restaurants closer to the farms from which they source their ingredients. There are artists, musicians, and an inordinate number of woodworkers who’ve turned fixer-upper buildings into hotels, gallery spaces, and recording studios. No matter their calling, they all came looking for the same kind of small-town, semirural utopia — the sort of place where people leave their front doors unlockedand neighbors know one another other by name. In the process, this optimistic crowd has transformed a humble region of upstate New York (an easy two-hour train ride from Manhattan) into a destination for visitors from farther afield, replete with stylish hotels, ambitious art spaces, and sophisticated restaurants. “We would drive by this building all the time,” said Lev Glazman of the landmarked four-story structure he and his business partners repurposed as the Bartlett House bakery and restaurant last fall. Along with Alina Roytberg — with whom he cofounded the luxury skin-care line Fresh — and his partner, Damien Janowicz, Glazman spent nine months renovating the brick building in Ghent, a village a few miles north of Hudson. He’d spotted it en route to the weekend home in Copake Lake that he and Janowicz share. “It was a railroad hotel up until around 1909, then a recording studio, then a real estate office, and then a crash pad for various architectural firms,” Janowicz told me. While work on the building was under way, the trio salvaged as many of its original features as possible. They used the old exterior windows to create a glass wall overlooking the airy kitchen, and balusters from the stairs to make bakery shelves. Upstairs, they created a dining room and a culinary lab to test recipes for what Glazman calls Bartlett House’s “no-fuss cuisine” (think pork chops with bacon-braised greens and roasted potatoes). It’s also where dishes are developed for the group’s latest project, the Maker, a new hotel in downtown Hudson set to kick off a gradual opening this fall. The Maker is an 11-room property that occupies three different buildings: an 1850s clapboard house, a Georgian mansion, and a corresponding carriage house — all smack in the center of Warren Street. (“It’s a combination of the entire American architecture vernacular,” Janowicz said.) The plan may be grand by Hudson standards, but few things seem beyond the reach of the entrepreneurs who turned an artisanal soap operation in Boston into a global beauty brand. The Maker will be the newest on a list of innovative places to stay that have opened over the past year or so, including Rivertown Lodge, a 27-room hotel in a converted Art Deco movie theater in Hudson; the Collective Hudson Valley, a retreat with luxury tents on the outskirts of town; and Foxfire Mountain House, a stylishly renovated 100-year-old inn in Mount Tremper, in the nearby Catskill Mountains. Besides being able to bring a dash of pride back to the region, what also feels right to newcomers like Glazman is the opportunity to work with local farmers and create jobs in an area that has, for the past three decades or more, suffered the effects of a sagging economy. Hudson started out as a whaling town in the late 1700s, when a British embargo banned imports into Boston Harbor and Nantucket during the Revolutionary War and enterprising whalers discovered that the Hudson was deep enough for their ships to navigate. Some of the supporting industries that sprang up around whaling (foundries, ironworks) lingered on after the trade in whale products declined in the 1840s, but by the time the railroad came to town in 1874, Hudson had become a small regional hub. More recently, it’s become known as one of those places that always seems on the verge of something — when the wave of antiques dealers arrived in the early 1990s, for instance, or when Etsy set up an office there in 2011. Like many residents, Glazman hopes that the latest influx of entrepreneurs, with their fresh ideas and visitor-friendly businesses, can be the start of a more lasting change. The area’s artistic pedigree inspired gallerist Jack Shainman to open an outpost of his New York City gallery in Kinderhook, just a few miles from Ghent. In 2014 he bought and renovated what had been the Martin Van Buren Elementary School, creating a 30,000-square-foot gallery space named the School. Shainman admits he was a bit naïve about the enormity of the architectural undertaking (the gymnasium needed excavating to open up the space, and geothermal heating had to be installed to properly store the art), but he couldn’t be more pleased with the results. “I wanted it to continue to serve as a place of education,” said Shainman, who has owned a nearby farm since 1999. Despite the Hudson Valley’s economic peaks and troughs, the region has always taken rightful pride in its cultural heritage. From the mid 1800s on, the Hudson River School lured Romantic painters including Thomas Cole and Frederic Edwin Church (Olana, Church’s Moorish-inspired home, is today a museum just south of Hudson). More recently, the region’s idyllic landscape beckoned contemporary artists, including Ellsworth Kelly, Brice Marden, and Marina Abramović, all of whom have established studios — and country homes — in the area. Alongside all this cultural activity, many towns have also witnessed a corresponding retail resurgence, spurred by the arrival of tastemakers from Manhattan and beyond. Take Germantown, an unassuming hamlet about 30 minutes south of Hudson. Despite a blink-and-you’ll-miss-it Main Street, the town is quickly filling with stylish shops. Alder East, housedin the former stables of the Rockefeller family (the village is the industrialists’ ancestral home), sells local ceramics and soaps, but there are also jute rugs from Australia and clothing by cult fashion labels from London and Japan. Next door I came upon Luddite, a beautifully curated store specializing in antique lighting and furniture. And down the street, just a few doors past liquor supplier Lawlor’s Package Store, the designer Michael Robbins recently opened a showroom for his Shaker-influenced furniture. There are artists, musicians, and an inordinate number of woodworkers who’ve turned fixer-upper buildings into hotels, galleries, and recording studios. Their seasonal menus feature updated classics like wood-roasted chicken with garlic scapes and house-made cavatelli with sausage, broccoli rabe, chiles, and ricotta. They’ve also collaborated on pop-up dinners with Mile End, the cult New York City “haute” deli. In fact, Mile End owners Noah and Rae Cohen Bernamoff have just taken over a nearby market, together with a clique of foodie friends. Otto’s, a beloved Germantown institution since 1927, is being quietly updated with produce from local farms, butcher-cut meats, and fresh-cut flowers. While the town’s burgeoning food scene is an obvious draw for visitors, the Suarezes are also interested in feeding the locals. To that end, they host a popular taco night. “Literally everyone comes out for that,” said Nick, who, along with his wife, is keen to put down roots in the community. “We want this to be a gathering place,” Sarah added. The Suarezes credit two veteran urban transplants, Lee and Georgia Ranney of Kinderhook Farm, with helping them get the lay of this scenic land. “They really rolled out the welcome mat for us, and hosted dinners so we could meet people,” Sarah said. The Ranneys have been running Kinderhook since 2004, when an old college friend lured them away from a cattle ranch in West Virginia. For Lee, a former lawyer, and Georgia, an artist, the goal was pretty simple: to raise happy and healthy animals in a sustainable way. Today they run a 1,200-acre farm with Dorper sheep, heritage-breed pigs, and free-range chickens, which they sell to a network of artisanal butchers and restaurants from Hudson to Brooklyn. One mild afternoon, Georgia took me on a tour of the farm, which, with its rolling meadows and pristine red barns, felt like something out of a Norman Rockwell painting. “This area is sort of a utopia for many people because it’s still close to New York and Boston, yet far enough to offer space and quiet, and allow people to take in the landscape,” she said while lobbing beef scraps to one of her hulking white Maremma sheepdogs. On the Saturday night I visited, the 30-seat space was full of young artists and makers clutching Pacificos and digging in to generous portions of spiced lentils and rice served with garlicky greens, sweet plantains, and whole fried fish—what Black and Perez-Gallardo describe as “tropical comfort food.” (Perez-Gallardo is part Ecuadoran, while Black, a native Alabaman, spent time cooking in Mexico.) Most of the crowd was fueling up for a late night at the Half Moon, a nearby dive bar that was hosting a disco dance-off. The whole place had the raucous vibe of early 1990s Brooklyn or, perhaps, downtown New York in the 70s. References to that last scene are somewhat intentional. The women behind Lil’ Deb’s Oasis wanted to create a restaurant along the lines of Food, the legendary 70s SoHo canteen started by the artists Gordon Matta-Clark, Carol Goodden, and Tina Girouard. They did that with Miami-meets-Memphis design — pink and turquoise décor, pottery made by a local ceramist — and shout-outs to creative collaborators at the end of the menu. Making my way back down Warren Street from Lil’ Deb’s Oasis, I stopped at the Spotty Dog Books & Ale, a bar and bookshop housed in an old firehouse. Several Manhattan transplants I know had recommended the place. It was Sunday afternoon, and the book section of the shop was just as busy as the wood-paneled bar. While some visitors pored over the poetry and local history selection, others were working their way through the lengthy menu of IPAs. A group of musicians was setting up for an early evening concert at the rear of the store. It felt at once quaint and cosmopolitan, serious and lighthearted, fashionable and old-fashioned — an exact expression, I realized, of what makes Hudson and its surroundings such a special place to be right now. Take Amtrak’s Empire Service train from New York City’s Penn Station two hours north to Hudson. Collective Retreats Hudson Valley: Choose one of the luxury tents (think Pendleton blankets and antler chandeliers) or stay at the lodge; both sit on a working organic farm. Ghent; tents from $500. Foxfire Mountain House: Located on 10 acres near Woodstock, this 100-year-old inn features 11 boho-chic rooms with Moroccan tiles, sheepskin rugs, and the occasional piece of taxidermy. doubles from $175. Kinderhook Farm: Lee and Georgia Ranney raise pasture-fed Angus cattle, sheep, heritage-breed pigs, and chickens on more than 1,000 acres of rolling hills. Book the rustic barn, which accommodates up to four adults, for an authentic farm-stay experience. Ghent. Rivertown Lodge: This movie theater turned hotel has 27 rooms with wood-plank floors and vintage Danish furniture. The open lobby, with its pair of wood-burning stoves and tavern, is a popular spot for late afternoon cocktails or espresso. Hudson; doubles from $199. Bartlett House: This bakery and restaurant, housed in a historic brick building in Ghent, has become the place for weekend brunch. Be sure to grab a baguette or pear-rosewater muffin to go. entrées $19–$32. Fish & Game: Zak Pelaccio’s farm-to-table restaurant in the center of Hudson has an ambitious, eclectic menu, showcasing dishes like fish ragoût with turmeric and rice noodles. entrées $30–$40. Gaskins: This upscale tavern in Germantown has been a local favorite since it opened in 2015. Expect comfort food at its finest: duck breast, fried chicken sandwiches, and house-made pasta. entrées $12–$30. Lil’ Deb’s Oasis: Located in Hudson, this bare-bones joint serving Caribbean- and South American–influenced dishes has become the de facto canteen for the area’s young creative set. entrées $10–$18. The School: New York gallerist Jack Shainman rehabbed this former elementary school into a museum-quality art space for group shows as well as retrospectives, like a recent one of 1990s provocateur Andres Serrano. Kinderhook. September Gallery: New York City transplant Kristen Dodge runs this simple, raw space, which shows works from a mix of emerging and established artists. 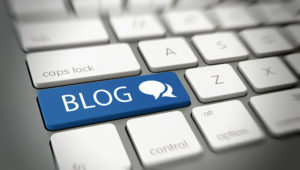 The easiest way for you to read our blog, see new listings and much more is to follow us here: Facebook, Instagram and Twitter.